Whale Mail is Weaver Elementary School's primary source of weekly information for our Weaver Community. It is delivered via e-mail every Monday morning. It includes a message from the Principal, items for PTA and FOW as well as miscellaneous community happenings. Fixtures of this communication are important dates to remember and links to the monthly lunch menu, weaver weekly, reading incentive sheets. Click here to view the latest email as a web page. 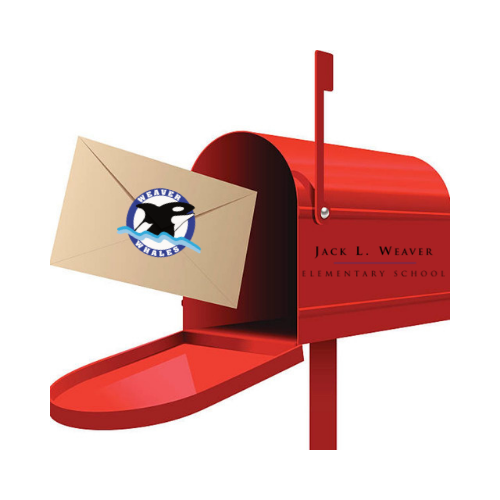 If you are a Chairperson or on a committee and would like to submit an article for the Whale Mail or you would like to subscribe to our weekly email, please email WeaverWhaleMail@gmail.com.